MainAll NewsJewish WorldWhat Does it Take to Become a Mohel? What Does it Take to Become a Mohel? Chief Rabbi David Lau convenes special refresher course for mohelim from across Israel, tells parents to only use mohel with valid license. Israel's Ashkenazic Chief Rabbi David Lau chaired a special conference Wednesday, bringing mohalim from across Israel to renew their licenses to practice at a special refresher course. 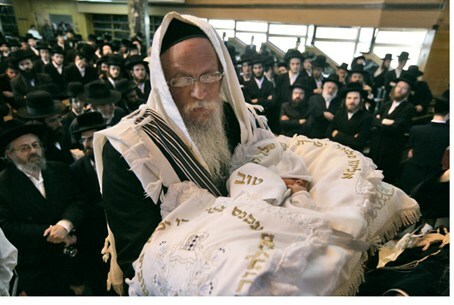 Rabbi Lau called on all parents to only opt for a mohel in possession of a valid license, to ensure the brit (circumcision) is carried out in a professional, safe fashion. Arutz Sheva spoke to Health Ministry inspector Dr. Moshe Wostreich, himself a practicing mohel, to hear more about what it takes to be a qualified mohel in Israel.